We have discussed during several newsletters the science and method of how we all consciously create our own reality, and how we can apply this knowledge to realise all of our wishes, needs and desires bu understanding consciousness and the nature of the Universe. 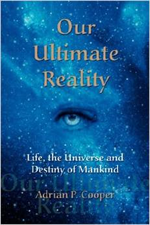 This of course is also discussed in great detail within the book, Our Ultimate Reality. 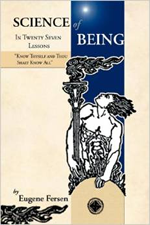 However, as well as consciously creating our own reality we also do so subconsciously; in fact much of the lives that most people experience today, whether they like it or not, are a direct result of subconsiously or unknowingly creating their own reality, a reality that is often ascribed to such erroneous notions as "luck", "fortune" or "chance". You might or might not like what you have created for yourself, but the good news is that there is no such thing as "past" or "future", there is only "Now", and your reality is created in the "Now" and can be changed in the "Now". So how do people continuously create their own realities without consciousness of the process? The way that people subconsciously or unknowingly create their own realities is principally in three ways; by their thoughts, emotions and actions. By actions I do not mean conscious actions but actions that imply a certain "attitude". Most people are simply not aware of this process, and the reason why self awareness is so important. One of the most powerful creators of our consciousness and reality is what we "say to ourselves". We all know the very considerable power of affirmations where phrases are repeated many times in the present tense. Well the same of course applies to statements that are made without thinking about the consequences. For example, a member of the family might be suffering from a cold. It is easy to observe this person, imagine that you feel not quite right yourself, and say to yourself "I am catching a cold". This affirmation coupled with the thought repeated several times will be enough to ensure that the person does in fact catch a cold; he or she has created that reality by their own thoughts and affirmation due to a lack of conscious self awareness. In this case therefore if a member of your family or someone else you are close to, for example a friend or someone you work with has a cold, you should repeat to yourself, either aloud, in your mind or by writing it down or better still all three, an affirmation that suggests how well you feel such as "I feel so well today" or "I am in the best of health" or "I am feeling great". Do not repeat an affirmation such as "I do not have a cold" because that still places an emphasis on "cold" which acknowledges its existence and gives power to it. The same principle applies to everything; we must always be mindful of our thoughts by developing self awareness and consciousness so that we are only creating a reality that we wish for. This is particulary true of wealth. During the course of each day we see evidence of wealth and people that are "better off" everywhere. You might for example be sitting at the traffic lights in your "average" car when a luxury sports car pulls up alongside, and you immediately, subconsciously make a comparison, and might start to feel envious. You might also think "I wish I had that car", which, although not having the same negative power as envy", will still ensure that you never receive a similar car, because it will put yourself in a state of "wanting" but never actually receiving. The correct course of action in this case is to look at this luxury sports car and to feel the excitement of actually owning it. Visualise yourself behind the wheel of the car, smell the interior, hear the roar of the big V8 engine and feel the "G force" of the acceleration as you press your foot on the pedal. Continue to focus on "your" car on this way, never for a single moment doubting that it is yours because in reality it already really is yours, and all you have to do now is to take physical delivery of it by harmonising yourself with the car, i.e. matching your vibration with that of "your" car. This armonisation process is fully described in Our Ultimate Reality. So in terms of self awareness, always be mindful of your thoughts and associated actions, and never, ever allow negative emotions of envy, jealousy, negativity or any other such emotion take a hold in your Mind. If you see something that you like, and really want to experience it, them feel the excitement and all of the high vibration, positive emotions that will bring it into your life. This is only one level of self awareness and self consciousness we have already discussed in a previous newsletter the importance of being "expansive". This means always being mindful of your thoughts and only allowing positive, expansive, high vibration thoughts to enter and remain in your Mind. If you feel any negative, contractive, low vibrational thiughts to enter your mind, immediately dismiss them and replace those thoughts with positive thoughts. We are all open channels of the Universe, The Source, God, and the more of an open channel of The Source you are, the more The Source can express through you and the more abundance will be able to flow into your life. Throughout the day continually ask yourself "what am I feeling now". If you are feeling a negative emotion immediately dismiss it and replace it with a positive one. Remember; what you think is what you vibrate, and what you vibrate is what you attract, so you will want to ensure that you are vibrating only the things that you wish to experience in your physical reality. It does not matter how dire your current circumstances might seem; those circumstances are only relative and temporal, and can always be changed providing you do not allow your current circumstances to consume you and you maintain the level of consciousness of your thoughts.